Driving home to Clovelly after doing the weekly shopping in Millicent. 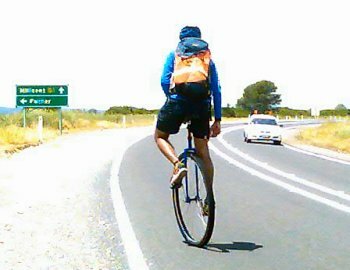 We were just past the Furner turnoff when we went past a guy on a Unicycle. 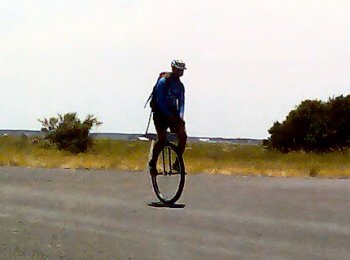 What the heck is someone doing out here on a Unicycle? 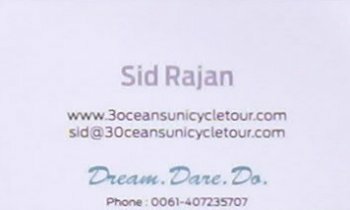 Well it seems Sid Rajan is a man on a mission. 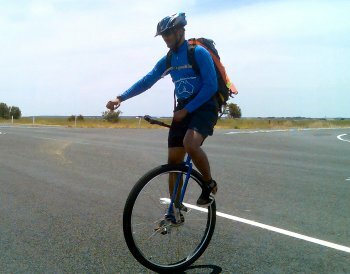 He is attempting to be the first person to Unicycle from Perth to Sydney. Perth to Adelaide along the Southern coast. 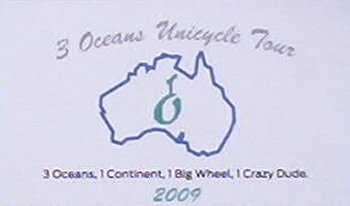 Includes crossing the 1200km Nullarbor Plateau from Norseman to Ceduna. 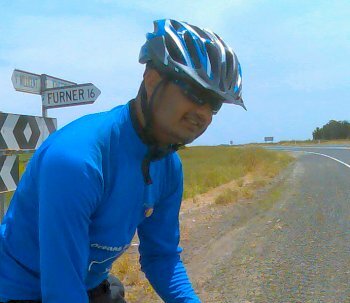 Adelaide to Sydney via Melbourne and Canberra. 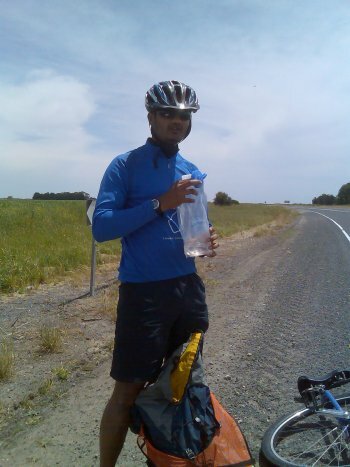 “Sid will use the time between the two parts to complete his thesis and fundraise for the ride. The Clown Doctors, the core project of the Humour Foundation. The Ved Vigyan Maha Vidya Peeth: A project of the Art of Living Foundation. 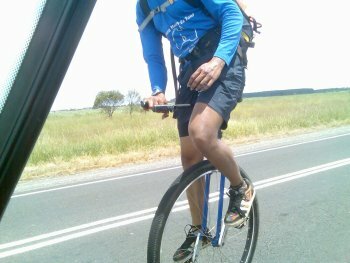 If you see Sid out there give him a wave.. Maybe sign his guestbook..